It is 35 years since punk exploded onto the nation's consciousness. The fuse was lit in 1976 and by 1978 punk was imploding with internecine strife. But 1977? What a year: the Pistols (mostly) firing on all cylinders as they and the rest of the vanguard shook up a moribund music industry in the year of the Queen's Silver Jubilee, whilst in Memphis the King had left the building. 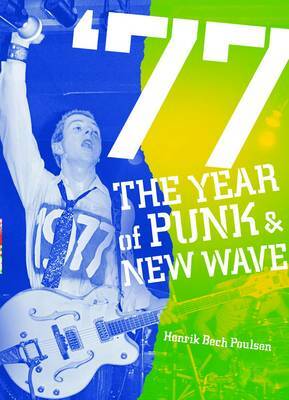 Henrik has written a potted biography about every punk or new wave band that released a record (or appeared on a compilation) in 1977 and what they released that year.